Reader will know of some my adventures with the police, when covering events as a photographer. 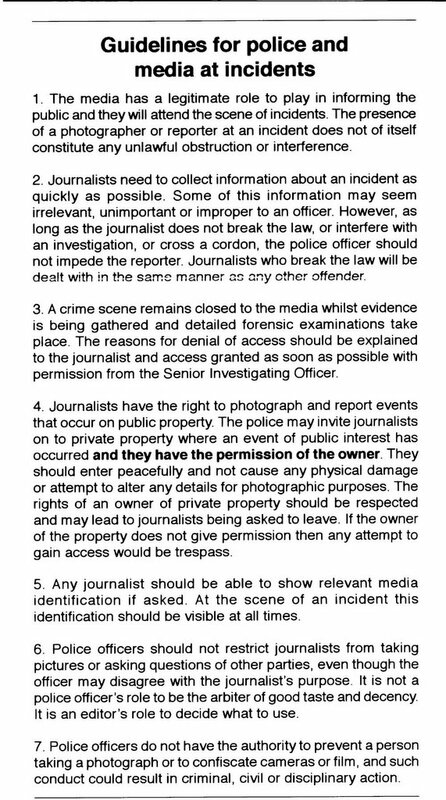 Have just finished nearly 18months work, in getting talks going between the police and the NUJ. This has resulted in a set of guidelines for behaviour. and, there is now further progress ……. This will be our final meeting before the Union’s annual conference, which decides on NUJ policy for the forthcoming year. The Nottingham Branch has much to contribute to the various debates, thanks to your continued support of our activities. Once again, thanks to the hard work of all Branch members who have been instrumental in getting these sorted. 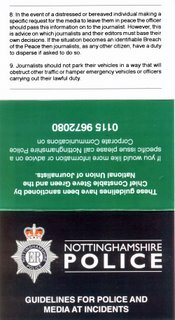 Our next task is to get similar guidlelines adopted in all police forces across England and Wales. 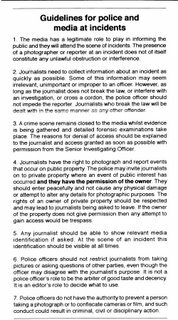 Already, the NUJ is in talks with the Met, which is a great step forward. We hope to see you at the Branch Meeting.